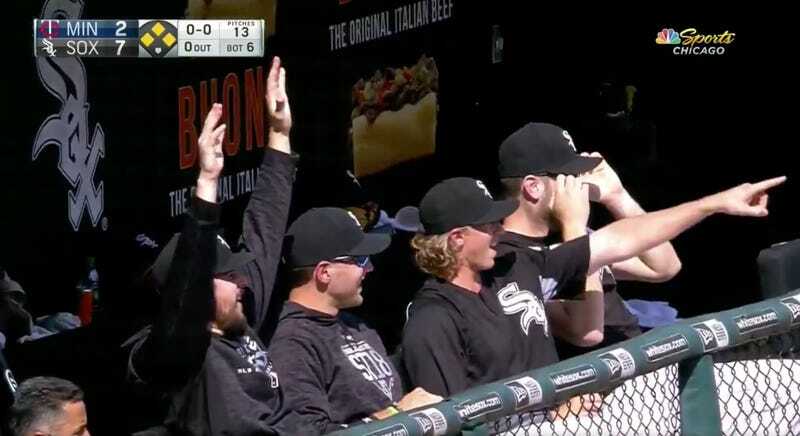 The White Sox are not all that good at winning baseball games, but you have to hand it to them: they sure can cook up a stupefying baserunning highlight. In a fitting followup to yesterday’s rather odd back-to-back rundown situation, today Yolmer Sanchez got caught off third base when a grounder got sent straight to Twins third baseman Miguel Sano. As he entered rundown territory, Yoan Moncada inexplicably headed towards third, leaving us with the bizarre spectacle of two White Sox players on one base. Someone should have been out, but Mitch Garver just sort of forgot to throw the baseball? Like last night, the White Sox managed to bungle a perfectly good scoring opportunity, as none of the three dudes who reached base on this play scored. Somehow, they’ll manage not to score off of a home run before the season ends.